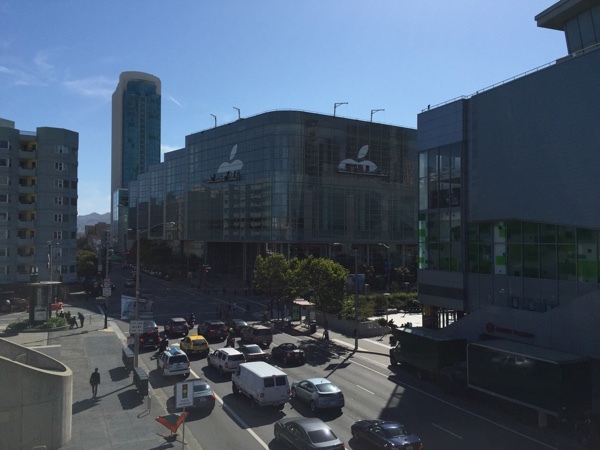 Banners and signs may not be the biggest aspect of most conferences across the world, but at WWDC, they give us a sure sign that the event is about to get underway, and with new signage now up at Moscone, WWDC 2015 will soon be ready to begin. If there was ever any doubt that Apple’s developer event was just around the corner then that doubt should now be all but dispelled, with the venue for the event being decked out for the big day. 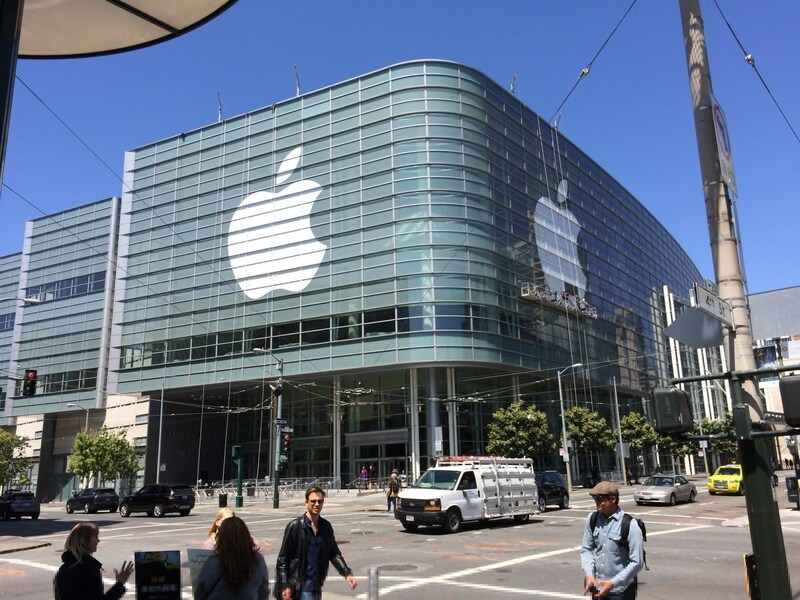 Apple’s chosen venue for WWDC, the Moscone Center in San Francisco, is now receiving its customary banners and signage that usually acts as our first real reminder that Apple’s developer event is just days away. In fact, WWDC 2015 kicks off this coming Monday, with all eyes on Tim Cook’s opening keynote to see what Apple will be talking abut this year. Right now the smart money is on the Apple Watch SDK and iOS 9 being front and center come WWDC keynote time, though OS X 10.11 could make an appearance as well. A newly revamped Beats Music is very much on the cards also, meaning this year’s opening keynote could be packed full of new announcements, product demos and other exciting goings on. Those attending the keynote as well as the developer sessions will be welcomed by colorful banners and logos which are part and parcel of WWDC these days. 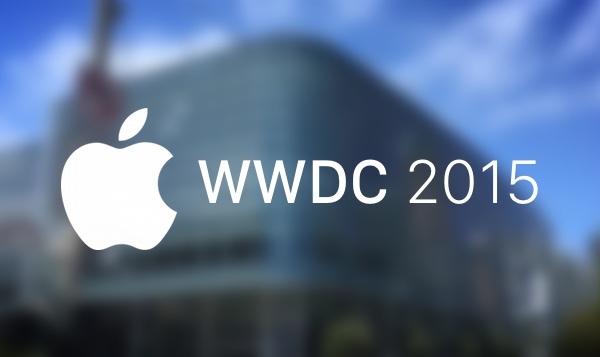 While still technically a conference for developers of iOS and Mac apps, Apple is acutely aware that WWDC is as much a launchpad for new products as it is the first place to show developers new APIs and toolkits. 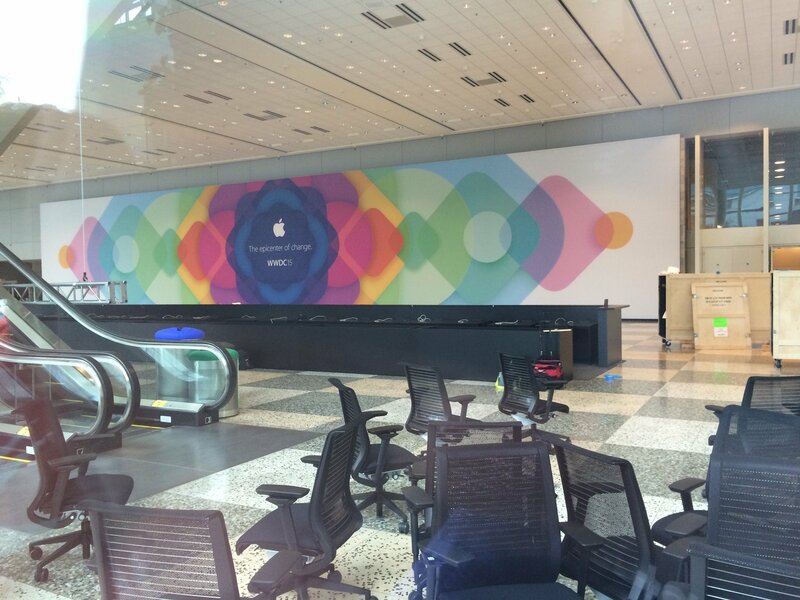 No matter what Apple takes the lid off next week though, Moscone is all set for the huge number of people that will be working their way through its doors come Monday. A lot is riding on WWDC 2015 both for developers and Apple alike, especially with the Apple Watch SDK set to feature prominently. Update (June 4): Apple logo is now fully up. Also up are WWDC banners inside Moscone West. I wonder if Apple will have the iPhone crash text message and OS X back door debacles sorted before Tim Cook stands up and tells everyone how great Apple is. Or just ignore it and carry on and talk about how many phones they shipped.